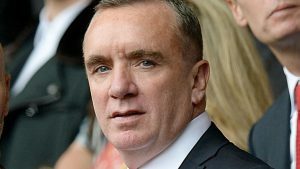 Former Liverpool chief executive Ian Ayre has been named as the new chair of the ACC Liverpool Group. Ayre left Anfield last month to become managing director of Bundesliga side 1860 Munich. And now ACC Liverpool Group, which includes the BT Convention Centre, Echo Arena, Exhibition Centre Liverpool and ticketing agency TicketQuarter, has announced he will replace current chair David McDonnell, who is stepping down after seven years in the job. Ayre said: “I am honoured to have been appointed chair of The ACC Liverpool Group board as I embark on the next phase of my professional career. “It was important to me on leaving Liverpool Football Club to remain involved with the city when my day to day role will now move to Munich, Germany. Ayre has previously worked as chief executive at Total Sports Asia and been a non-executive chairman for the Liverpool City Region Visitor Economy board.